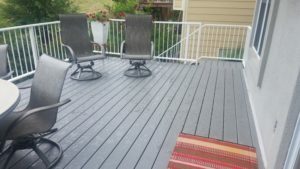 Trex makes a beautiful affordable line of decking with their Select series. 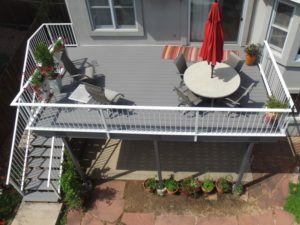 Installed with hidden fasteners it is a seamless deck. 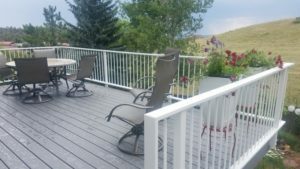 The single color of the decking was great to highlight the custom white railing. This is a minimalist railing with 1x3 metal top and bottom rail. Using white also keeps the railing from getting too hot in the sun. 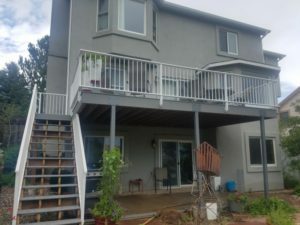 Notice, too, that the deck supports are metal and have been powder coated grey to blend with the house!